Ask LaShanda - What’s wrong with your website? Like so many other people, I am very interested in things like making more money and having fun doing it, losing some weight, improving my skills in given hobbies and sports. So the first thing I do is look at an ebook's title. If that title looks promising, I'll look forward to ordering and finding the answer. Ideally, the ebook's author will provide a different answer or approach in addressing the issue at hand, rather than the same-old, same-old. And there-in lies the key. To make an ebook sell faster, avoid including the same old stuff, such as exercising in order to lose weight. As a reader, I already KNOW that! I need some kind of reward for reading the ebook, some kind of motivation --- so give it to me. What I want to know is something like, what exercises can I do that will help me lose weight faster? Have you, the author, tried them? What kind of results did you get? What lessons can you share with me from your experiences? THAT's what I want to know. And not only will I buy that ebook, but I will look forward to future ebooks on that subject. The same is true for other topics as well. In other words, let me know what's in it for me (for reading your ebook). Will I benefit from a different, but practical way of doing things? And what is your interest and involvement (experience, expertise) in the matter? 1. A title that promises us a benefit, such as more money, if we follow its advice. 2. Chapters and text that match the title and mention what's in it for me if I continue to read, such as practical advice and a NEW way of dealing with an issue. 4. Brief explanation(s) of what AND didn't work for you. Hopefully, I will be able to avoid your mistakes. Help me to shorten that learning curve and you will practically guarantee yourself a loyal customer. Here you will find a variety of articles, by experts in the field of publishing, to give you their expertise. Each one of the contributors has vast experience and is willing to help you, the potential author, the published author, and the publisher. Recently, Barbara Hudgins published an article on Twitter called, "Are you Being Twittered to Death?" in which she talks about how the benefits and drawbacks 0f this new social media phenomenon. Read "Are you Being Twittered to Death? What's the big deal about TWITTER NOW? Free Twitter Training on Monday! For those a bit unfamiliar with micro blogging and more importantly twitter, let me explain a bit how it works. Twitter is basically a service that allows you to update your status with short messages, of up to 140 characters, just like a SMS text message. What makes it so special is that it also has social elements, allowing users to befriend each other; in twitter this is called "following." Whenever you're following somebody on twitter you'll be able to instantly receive their updates and keep up to date with someone's status. Furthermore because mobility and fastness are of the utmost importance in micro blogging, twitter allows you to update your status via the web page, IM, mobile phone, blackberry or various other third party applications. to boost their brand & build sales! EVENT: Twitter Training for Authors and Aspiring! You want to learn about social networking? Forward email / Digital Evangelism! the Self-Publishers Online Conference 2009! The online conference runs May 13, 14, & 15 on a computer near you! ….to grow your businesses, share your mission and create greater revenue. Are You an "Entrepreneurial Author?" Becoming a published author is easier than ever thanks to so many options and opportunities available through self-publishing resources. But what are the best choices for you? The Self-Publishers Online Conference aims to take the mystery out of self-publishing by showing and explaining the opportunities and choices available to you—and give you guidance on selecting the best ones for you and your publishing goals. SPOC is looking for the best in the self-publishing and information publishing industries to share their offerings and expertise. Click below for more information about becoming a sponsor, speaker or exhibitor. It helps authors brand, market and build web traffic for their books. EVENT: "Blogging 101 Workshop" May 23rd in Detroit- ONLY 20 PARTICIPANTS MAXIMUM! Location: private location in detroit. after registration, you'll be given the details. 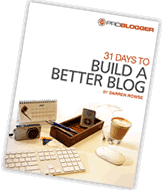 Learn the basics of blogging, draw traffic to site and how to write incredible blog posts. Each workshop comes with a resource disk and refreshments. If you have a laptop, please bring; wifi available on site. Intimate class size of no more than 20 students maximum. Must register only online. No registration @ door. To be notified of more workshops, please subscribe to Internet Marketing Mailing List. Unfortunately there are no handicap facilities at this time at this location. More workshops will be held at other facilities. Michigan's largest literary entertainment and education network for readers, writers, authors and poets. Are you one of the millions of people who want to write a book in your life? If you have a book in you, think about reaching your dream by starting with an online written book, called an ebook. Here are 7 reasons to make your first book an ebook. 1. Write Your Dream Book. Writing books is a dream of many, but few have the understanding of what it takes to get a book written. One of the hottest ways to get your ideas into a book is to write and market an ebook. If you have a story to share or other information, consider writing an eBook first in order to see your name in print, fast. 2. Write for you. If you have a burning desire to write your book, think about writing it for yourself. You can write your first book just so you can print it, put it in a binder and have it as a powerful visual reminder of how great it will be to put your words in writing for others. This can be the inspiration you need to write for a public audience. 3. Write for others. Writing for others is what most people really want to do. For the business and professional person, writing a book is a way to express your wisdom, share business ideas, gain clients, and build your professional reputation. You could write for your family as well as others you will never meet. 4. Write for Money. Writing an ebooks as your first book is a fabulous way to earn money in your business. People enjoy reading information in a compact way. That why ebooks are so popular on the web. Writing a book is more complex than writing an ebook so start writing and selling an ebook and progress from there. 5. Write Simply. Writing an ebook is actually a very simple process. The only equipment you need is a word processing program and access to the Internet. You need a topic and a structure for your ebook. This can sound complicated but when you know how to put these elements in place, you can have success to write a very simple ebook that speaks to the heart of your readers. 6. Write Short Ebooks. Writing an ebook doesn't have to take a long time because it can be very short. Ebooks are getting smaller and shorter as people get more stressed and busier. An ebook between 50 - 75 pages seems to be the norm these days depending on the topic. This short length means you are not wasting space and paper with fluff but getting straight to the point. This makes your ebook much more interesting for the reader. 7. Write Creatively. Be creative as you write your ebook. Think about the people who will read what you have to say. They will purchase or download your eBook to get the information you provide when you write in an engaging manner. Write a concise, easy to read book that is informative and helpful and you could be on your way to building a following with your ebooks. If you really want to get that book out of you, start with an ebook. It's quicker, easier and more focused. You can do it when you know how. Internet Marketing for Writers and Businesses - GET THE GUIDE! A guide for writers with or without published work. A comprehensive resource that every writer should have in their library in order to learn how to publish, promote, and market themselves on the Internet. 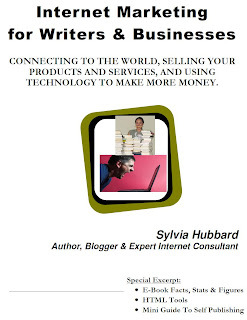 From Tagging to html, Sylvia Hubbard, Author and Internet Marketing Consultant gives you the tips and tricks to become a success online. See this author's website for more of her work: www.sylviahubbard.com. Join author's mailing list to get free updates to this book. Come to the Charles H. Wright Museum and release your innermost thoughts. Share your view of the world about you. Embrace your imagination and let the words that describe it rush outwards onto the walls of our Multipurpose Gallery. This Thursday, April 23rd, be a part of living art. Stimulate your mind and your soul! Between 7pm and 9pm we want you to come together, enjoy refreshments and hors d' oeuvres, and let your creativity, thoughts and words flow onto our walls using invisible markers. Together we will darken the room and witness our collective expressions revealing themselves. Our words will begin to live through the artistry of professional poets whom will weave our thoughts into spoken tapestries in a live, freestyle poetry jam. Experience clear skies, spring breezes, raging winds and hurricanes in a very special moment that you help us create at the Charles H. Wright Museum. Reservations are recommended but not required. Seating availability is not guaranteed. Call 313-494-5823 to let us know that you will be participating. Everyone else is doing it, so why not Barnes & Noble too? Want to see the earliest movie ever made? If you think you need to visit some dusty archive, you're wrong; as of today, it's available on YouTube; more precisely, on Library of Congress' YouTube channel. The Library of Congress stores around 6 million films, broadcasts and sound recordings, but they aren't all immediately available on YouTube; instead, they're starting off with a modest 70 films. However, Library of Congress' Matt Raymond promises they won't stop at this number (as sometimes happens with YouTube's content deals); they plan to keep adding content, although Matt doesn't say how much or when. Currently, the videos include the National Book Festival author presentations, "Westinghouse" industrial films from 1904, as well as some of the earliest movies ever made by motion picture pioneer Thomas Edison. So, if you need some rest from all those funny cat videos you've been exposed to on YouTube, check out a really old video below. eBook Millionaire Secrets Revealed 6 - Push Button Publishing! Just a quick word here about word processors, and how to turn your eBook into the PDF file you will eventually need to be able to have your customers buy and download it. Many of you, I know, will insist on using Microsoft Word to process your text and create your eBook! If that's what you're used to, then that's what you should use but be aware that turning your Microsoft Word .doc file into a PDF involves you in using another piece of software. (Just Google for PDF Converters. There's some good free stuff out there!) Or you can pay for the ultimate PDF software: Adobe Acrobat professional, which will enable you to produce a fully featured and secured PDF eBook, though it is quite expensive. If you're prepared to put in an extra hour or two, to discover a brilliantly written and incredibly useful piece of software then Google 'openoffice' and download the Open Office suite of software. The incredible thing about this fully featured suite of software applications is that it is absolutely free. And in Office Writer, which is the Office equivalent of Microsoft Word, there is a magic little button at the top of the page on the toolbar that will turn your text document into a fully featured PDF file. You can even add security features. This free piece of software makes it so incredibly easy to create a PDF file eBook from your text that I recommend anyone interested in serious eBook publication to download a copy of it. It will make your eBook creation easier. Use Arial as your text font. It's one of the easiest fonts to read on screen, readily available on both PCs and Macs, and bundled with most printer software. Your main text should be 12pt - 14pt in size. Smaller text should be in Verdana which was specially designed to be easily read online. Larger text can be in Georgia or Times New Roman. You can prevent your Ebook being copied or changed. Instead of clicking on the Red Adobe Acrobat icon on the tool bar to turn your document into a PDF... do this instead. Click FILE on the top menu. Click on EXPORT AS PDF. Along the top menu of tabs find SECURITY on the far right. Click on it. Click in the second white box down where it says *Restrict Permissions*. You can then enter a password so that only you will be able to make changes to or copy your Ebook. Finally, click on the EXPORT button to save your newly created, and secure, PDF Ebook. Andrew Charleson can help you make money online with Affiliate Programs, eBooks and Online Marketing. His eBook '4 Easy steps To eBiz Cash' (including the 3 simple secrets you really need to know) is available from http://www.homebizcashmaker.com Download it Now... while it's still FREE! As a professional speaker, most of your income comes from product sales, and those sales are moving online. In addition to selling physical products on the Internet, the Internet offers a special opportunity for income from high-markup e-books. An e-book is like a paper book except that it exists only electronically. Why would you want to create an e-book? For one thing, having a book gives you extra credibility as an expert. Moreover, you can sell an e-book for approximately the same price as a physical book, but it costs almost nothing to duplicate and to deliver. Your royalty on a $30 physical book would be about three dollars, but your income on a $30 e-book would be nearly $27. If you don't wish to sell your electronic book directly, you can make it an extra benefit for someone who buys another one of your products promptly - "act by midnight tonight and you will receive these amazing extra offers..."
When should you create an e-book? You can create one whenever you've gathered sufficient material, since the cost of creating an e-book and delivering copies is minimal. Is it worth the small effort of putting together an e-book? You should probably check to see if there is sufficient demand for the material. See how many people sign up for the tele-seminars you are offering on the same topic. You could also check what other e-books are being offered on that subject, see how well their sales are doing, and see how yours could fit into a gap in what is being offered. If your book and the others are complementary, you might be able to work out joint ventures with the other authors to cross promote each other's books. How much trouble is it to write an e-book? Quite little, for a public speaker. You're giving speeches, classes, seminars, and tele-seminars. Get a recording, hire someone to transcribe it, and edit the transcription into a book. If one speech or tele-seminar doesn't give you enough material, put together the transcripts from two or more on different aspects of the same subject. What do you have to do to turn a transcript into an e-book? Of course you should edit it carefully. You should format it attractively. You can format it in a conventional text editor such as Microsoft Word or Open Office Write. I use Lyx, a free typesetting system. Eighty to 100 pages should be the minimum for a book that you are going to sell at a reasonable price - reasonable price being defined as prices high enough to attract affiliates to bring you customers. Use 6" x 9" pages, which are easier to view on a computer screen. Use line-and-a-half or double spacing. You can start subheadings on the next page - you're not wasting paper. When you have the body of the book properly formatted, save it in Postscript form. You can create a cover with an image editor, or you can outsource it. Save the cover in Postscript. Load the Postscript file for the cover followed by the Postscript file for the contents into a PDF creation program. Merge the two files, set the access rights, save the file in PDF, and you have your e-book. Since it's so simple and inexpensive to create an electronic book, there is no reason not to create several ebooks a year. You're invited to get more information on how to make an e-book or sign up for the e-course, Money-Making Idea Online For Public Speakers that was prepared for Speakers In Colorado by Dr. Christopher, a seminar leader, public speaker and former university professor. The secret is out. Publishing eBooks on the Internet is a wildly profitable business. Why? Because there are virtually no overhead costs. You can get started with an assortment of free tools that you can find listed in my eBook publishing course. Best of all, you can do this while either searching for a job or holding down a full time job. Thanks to the anonymity of the Internet and the longstanding practice of authors using pen names, you can get started now. If you're not a good writer, it doesn't matter. You can buy ready-made information products that allow you to change the author name and claim credit for it. That's actually how I got my start. It was proving very difficult for me to find the time to write my first electronic book. It was also not really very feasible to hire some ghostwriter to write one for me from scratch. I go into a lot of detail about how this can be done in my eBook training program. But here's one important tip I want to share with you right now. Never invest in a master-resale-right package that doesn't allow you to change the author name. It's critical that you be able to customize the name to reflect yours (or your pen name). Finally, here's another important secret. Throw occasional sales wherein you offer your eBook at a discount price. Don't offer these too often, but when you do offer a discount, make it a very deep discount. You will be amazed by how many more people decide to purchase. It's a great sales booster. For more FREE information about how to make money on the Internet with your own home based eBook publishing venture, visit the eBook Secrets website by clicking on this link. You'll discover a fantastic resource that I've put together for you that will help you launch and grow a profitable home based eBook business WITHOUT having to spend a lot of money on startup expenses. You can literally get started today. So go ahead and visit my eBook Secrets website today. "If you don't love what you do for a living, you're not in your proper place and maybe just taking up space." Pam Perry, PR Coach ----This is the new Ministry Marketing Solutions Motivational Monday Message (TM) from premiere Christian authors to keep you expecting the best. 2009 will be divine, WITH GOD, all things are possible! Expect it if you work in right! Indisputable Components of Business Success"
Happy Miraculous Monday, April 6! As a young entrepreneurial writer, my purpose was to create contemporary literature of African-American culture. My goal was not only to make a living, but to inspire readership, intelligent comprehension, empathy, and dialogue concerning the importance of numerous human perspectives. Every nation of people has stories that need to be told and that need to connect to the universe of humanity. So once I realized that I had become more adequate at writing the stories of my nation within a nation, it became my mission, not only to continue to write and publish, but to improve my writing skills each year by taking on the new challenge of presenting original and thought-provoking material. That specific mission - to challenge myself and others to continue in our thirst for knowledge and understanding - was what drove me to write 16 novels in 16 consecutive years on 16 different subjects, regardless of how they all sold on the market place. Had my goal only been to make a living, or to write a popular story that sells, then maybe I would have only written nine books on three subjects, while stressing all of my gains and losses. As my art expands to incorporate a larger audience, my purpose, aim, and mission is the same to challenge us all to continue to learn. And my drive to continue to write and explore the challenges of human intelligence, progress and business remains as strong as it ever was and even stronger. Shine in 2009! It's YOUR Time - expect a miracle! recipient for Outstanding Literature in Fiction, and a 2006 Phillis Wheatley Literary Award winner for Body of Work in Urban Fiction, has published 16 books and has sold nearly 2 million copies worldwide that has generated more than $30 million. 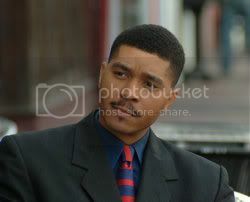 With a degree in Print Journalism from Howard University in 1991, Tyree has been recognized as one of the most renowned contemporary writers in the literary community. He is also an informed and passionate speaker on various community-related and intellectual topics. Now entering the world of feature films, business lectures, and children's books, Tyree is a tireless creator and visionary of few limitations. Tyree is a popular speaker on the university and corporate circuits. In his "Equation for Life" lecture, Tyree weaves together a full-proof formula for attaining lifelong success in business, as well as everyday living. Ideal for innovation, corporate sales and marketing teams, one attendee who heard the lecture commented, "Omar Tyree's Equation for Life speech made me rethink my whole life - it has given me the focus I need." The success of the speeches over the last 11 years landed Tyree his first nonfiction book deal with John Wiley, the number 1 business publisher in the world. 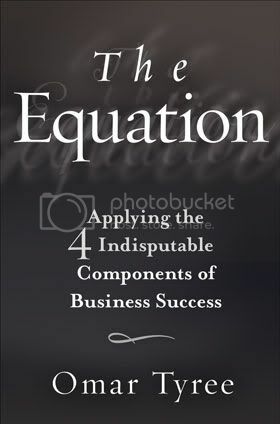 The Equation: Applying the 4 Indisputable Components of Business Success, released in early this year. As an author, journalist, performance poet, songwriter, screenwriter, entrepreneur, innovator of various creations, and an energetic and fiery speaker,Tyree is no stranger to the world of contemporary urban influence. Tyree became one of the dominant literary promoters of the 1990s, leading to offers of publishing deals by a number of influential mainstream book publishers. 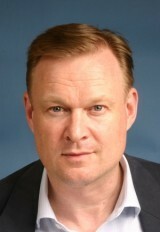 In 1995, he signed a lucrative two-book arrangement with publishing powerhouse Simon & Schuster. A few years later, Tyree signed an undisclosed long-term contract that established him amongst Simon & Schuster's top authors. 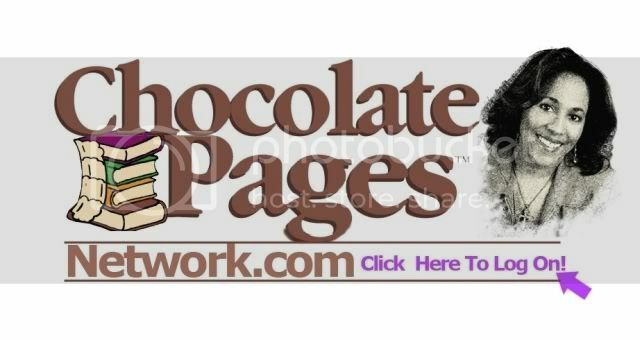 His journey as an entrepreneur began in his early 20s when he started the book publishing company Mar Productions, to release his earliest works of fiction. Tyree's entrepreneurial ventures have evolved to include the Urban Literacy Project as a nonprofit organization to inspire reading, writing, thinking, visualization, application and financial literacy skills among disadvantaged youth and adults. He has also formed Renaissance Entertainment Group, a partnership with self-made multimillionaire Arthur Wylie, to produce Tyree's body of fiction novels into feature films. Tyree's articles have been published in the Washington Post, Essence, Upscale, Ebony, TheDailyVoice.com and several other publications. 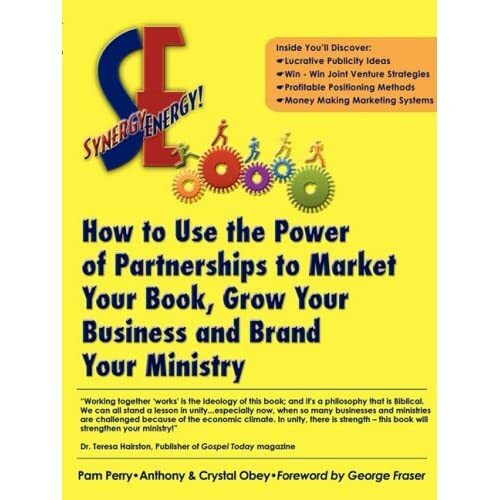 Get more synergy for YOUR book & ministry!!! much greater power than if any of the individual principles were used alone." Hear Omar Tyree on the latest show. In the midst of adversity lies opportunity - if you expect it! Forward email / Digital Evangelism - be a blessing! If you ever wanted to write a book, but were discouraged by the process, then I would urge you to take a look at ebooks. The popularity of electronic books has exploded thanks to the Amazon Kindle and the availability of the internet worldwide. After I wrote my first two print books, I became very discouraged with the process of writing, editing and getting my books published. Then a best-selling author friend of mine told me about ebooks and my life changed forever. My friend told me about the advantages of writing ebooks and I was floored. She told me how she was able to write, publish and profit from your writing in a matter of days. That is not a misprint, I said days - not months or even years! Over the years I found out that she was not kidding, you can publish an ebook - a high quality, information-filled one - in as little as a few days and profit from them almost immediately. Why would you want to publish an ebook versus a traditional print book? There are many reasons, but here are a few. Publishing Ebooks - No Waiting for Editors, Printing or Royalties! You do not have to wait for an agent to review your manuscript and take you on as a client. You do not have to wait for a publishing house to buy the rights to your manuscript. You do not have to wait for an editor to get back to you with their suggestions. You do not have to wait for your book to be designed and ready for press. You do not have to wait for the publishing house to print and deliver your book to bookstores. You do not have to wait six months for a royalty check after your first sales. The part that might be scary for you is how to publish an ebook. I am here to tell you that it really is not that hard if you can follow 7 simple steps. If you have ever saved a Word document or printed one, then you have the skills needed to publish ebooks online. Publishing your ebook is as simple as hitting the "Convert to Adobe PDF" button in your Word document. If you do not have Adobe Writer, you can just upload your Word doc to a free website and they convert your Word document into a PDF for you. Writing and Publishing Ebooks - Yes You Can! My point is that it is simple to become a published author and with a little promotion and effort, you can become a highly-compensated author online. You can write, publish and profit from ebooks if you just follow a few simple steps. Imagine if you could sell just one or two of them a week, how would your life change? What if you could sell your e-book for $27 (typical prices are between $19.95 and $97 for some niches) and you sell one per day - how would your life change thanks to your tiny little ebook? Dramatically, right? As for what comes next in the process, you can just sign up for a free ecourse that shows you all the easy-to-follow steps to publish an ebook online for Free. Simply sign up for Free Instant Access to the Writing an Ebook Secrets Email Course and a Free Report on Ebook Publishing at http://www.TheOneMinuteEbook.com and start profiting from your words today!